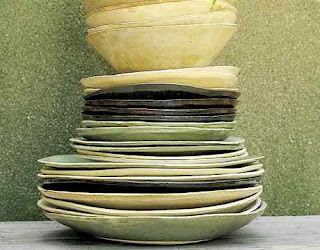 Potters, ceramics, earthenware – it doesn’t really matter. The thing that excites me about ceramics is that it’s usually used for cooking, eating and most importantly sharing. What better feeling than to be passing plates and platters of food around with your family, or old or new friends. Eating and talking together is a tradition we should continue to embrace and hold on to tightly. Eating alone is no fun. There are surely thousands of exceptionally talented potters. Here are a few I’m particularly fond of. 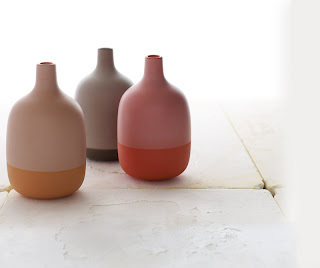 Heath Ceramics has been hand-crafted since 1948 . They create classic, modern and functional designs. New owners have revitalized Heath whilst keeping true to their roots. Simple, functional and beautiful. Also found in the permanent collection at MOMA. Not to be sniffed at. An Australian company where I’ve had the pleasure of visiting the workshops. Organic shapes and stunning earthy colours. Built for sharing and a joy to present. A young potter working out of East London. Simple, hand-thrown pieces and a talent to watch. You can buy Billy’s cups and jugs from Few and Far. If Priscilla Carluccio is stocking it, then he must be destined for greatness. Something completely different and I love her work. Saturated pastels and retro feminine shapes. Her colours are the ‘dirty’ side of pretty which makes them so much nicer. Much loved in her home country, New Zealand, Rachel is an architect turned potter. Probably my favourite out of all ( always save the best till last! ). 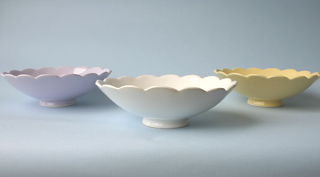 Joan Platt has been fashioning in her studio in N.Y elegant simple ceramic tableware where every piece has been handcrafted – so every plate is slightly different. Unfortunately I can’t find a website or retailer for her anywhere. Note Joan is 72 and didn’t start potting until 25 years ago.